The High Rise Guys! 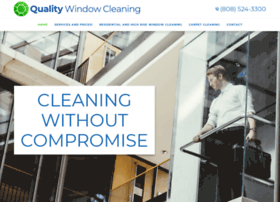 Quality window cleaning in Honolulu, Hawaii serving all of Oahu.Your Residential and commercial Specialists! Over 25 years experience in High rise, Commercial and Residential properties. Free Estimates! Hosting company: Web.com Group, Inc.